I know I’m going to get lots of insults thrown on my person after creating this topic, but to me the truth is better, I’m not a tribalist or an ethnic bigot, on the other hand I’m a proud Nigerian, one who believes that there is still hope for our great nation, I grew up reading literary works of Chinua Achebe, and I enjoyed his master piece (things fall apart) so much that I always re enacted this story whenever I was bored while growing up, the author of the book seemed bigger than life to me then, but growing up I discovered one thing about this man, he was a sadist, a pessimist, and a bad critic, he never saw the country Nigeria amounting to anything, he was always quick to condemn from the high pedestal which the “white man” put him, no doubt he has made Nigeria proud in the aspect of literature, but what has he done to help build this country? This is a man who spent half his life abroad pointing out problems of this country, but never offering sound possible solutions to these problems, this man hated his father land so much that he refused a national award twice, I believe that his refusal to accept the national awards stemmed from his hatred of his fatherland, not solely because he felt the governments had failed the people, this man was not a man of the people as most people are claiming, rather he was a man against the people, he was a doomsday individual, he was hoping for the collapse of this our great country, he hated the market woman, the taxi driver and even the lawyer, he saw Nigerians as a people who could never change for the better, Chinua Achebe made us proud with his literary works, but aside from that he did not contribute enough for the over all development of this country, we’ve heard of great doctors who left the western world to come and practice in bush Africa, these men are the kind of people we should look up to, let me not say more, but I believe I have made my views known, may his soul rest, I hope he is buried in the United states. I actually sympathize a bit with your sentiments. I think Achebe was a bit too much of a pessimist where it concerned modern Nigeria. He failed to understand that developing nations, especially complex ones like Nigeria, need time to develop the institutions and even the culture required to create and sustain advanced societies. He had this naive idea that straight off from independence, we should have been on a one way trajectory to being the new Japan or USA, forgetting that those nations had several centuries of independence before getting where there are. Africans are not superhumans. The colonialists left us without a single proper university on the entire black continent right up till 1960 when they left (apart from in SA). How does such a continent develop into a world class place in a decade or two as Achebe was expecting? It was never going to happen. The coups, the corruption, the ineptitude etc were all very predictable growing pains of newly liberated nations that had been bastardized for centuries by rapacious, unscrupulous foreigners. We’ve actually come a long way if you look at it objectively. We’ve brought mass education to our people, which was denied us by the colonialists. We’ve built some notable infrastructure, and our economies are growing from strength to strength. So we’re not standing still. 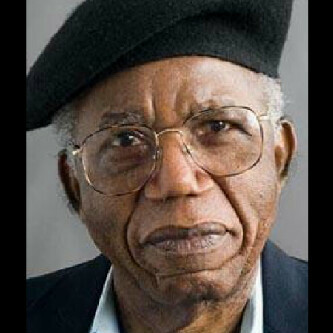 Shame Achebe never found it in him to acknowledge that progress.. But we still honour him for his great works of literary genius which brought glory, international respect and honour to his fatherland and to the continent. His place is assured in the annals of great African heroes. Aside poisoning the hearts and minds of the younger generation of a Nation he had no belief in, he did well as a literary giant. I also appreciate his stance on issues of governance, corruption and transparency. If only he had kept his bigotry in check, Achebe would have qualified to be a Nigerian hero, but his final shots placed him as an IBO hero. Words and books are very powerful tools that heals, influence and change minds and ashebe used these powerful instrument to divide and spread hate and bigotry. His last book didn’t heal, it divided the country and erased all the gains we’ve made. That bitter old man was selfish and thoughtless. Who writes dumb stuff like that in 2013 and at 82 years old? Obviously, he was hateful and bitter man to the core and he took all that baggage to the grave with him. Disregard for the things of God is fast on the rise, with people thinking more about themselves, their name and the legacy we want to leave behind on this earth. We make lofty plans, building castles in the sky, with plans that are not in line with His purpose for us. Most of us don’t know God’s divine purpose for our life or the ultimate reason for our existence, and we don’t seem to be bothered; frankly, we seem to care less every day. We tend to reverence mere men, politicians mostly, and other people in earthly positions of power more than we do men of God. I know these men seem influential to the world we see, the one we live in, but that is a myopic point of view. We have got our sights focused on secular things, whereas we’re merely passing through this world, in preparation for an eternity in Christ or otherwise. Do you see yourself as a temporary resident of the world? Are you aware that like every other thing, this life on earth shall also pass away? Little sins are stepping stones to greater ones; their guilt, could coerce us into committing bigger ones and though I know making mistakes and learning from them, is a very vital part of living, shall we continue to sin so that grace may abide? The devil is a liar who is constantly peddling his wares, and we should be wary of his many gimmicks. KNOW THE FACTS: The Lord has paid for our sins in full. Even the sins we are yet to commit, has been taken care of in advance because he doesn’t want it to separate us from him; instead, the devil manipulates us through our guilt and makes us believe we aren’t worthy of Christ love and to be in his presence. We all at some point have fallen short of His glory, but it is how you handle your getting up that matters. Do you let your mistakes define you, or further aid the widening gap between you and Christ? The devil also capitalizes on the connotation that all sins are the same, with none greater than the other. In believing this, which is actually true, we are further sucked into sin and most times do more than we already have. I for one have justified many of my actions with that statement and that is just one of the devil’s many antics. Anything worth doing at all, is worth doing well, so I’m pledging to serve the Lord more with all my heart and not just continue sitting on the fence; its neither here no there with Christ, be sure of which side you are standing and also make sure that you are in the right standing with God. A day set aside to celebrate wonderful women who are the bane of existence and have put their all into fulfilling God’s great commission of reproducing. For one as unique and as selfless as you are, Mrs. N.U. Ekpo, today won’t be complete without telling you just how special you are to me & your 4 other biological children. You are literally a mother to all, and that’s not just an accolade; its a measure of the number of people you touch their lives directly, the amount of people who call you mummy and actually mean it. Continue to be a blessing to a host of others, keep up your selfless thoughts; it doesn’t make you gullible or predictable, it just means that God will continue blessing you in ways beyond the reason why. You are a direct beneficiary of a network of intertwined prayers. You will surely reap the fruits of your labor, for you have indeed labored selflessly; with nothing but love in your heart, putting even strangers wants before your own needs. 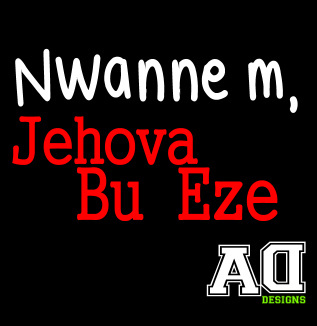 With good health and wealth, the Good Lord in heaven shall continue to keep you for me. The eyes of the wicked ones shall never see you, just like you’re on stealth mode.